According to the Alzheimer’s Association 2019 Alzheimer’s Disease Facts and Figures report, there are 588,000 people providing 670,000,000 hours of unpaid care to the 230,000 people living with Alzheimer’s or dementia in Illinois. The level of assistance provided by caregivers of people with Alzheimer’s or other dementias tends to be extensive. As symptoms worsen and the amount of care needed continues to increase, caregivers report stress, anxiety and even depression at high rates. In honor of National Stress Awareness Month, the Alzheimer’s Association Illinois Chapter offers tips to help manage stress throughout the role of caregiving. Get help and find support. Our online Care Team Calendar helps you organize friends and family who want to help provide care and support. 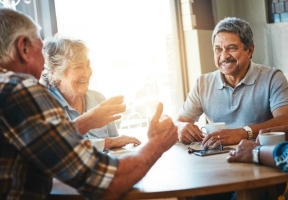 Our 24/7 Helpline (800.272.3900), ALZConnected online community and local support groups are all good sources for finding comfort and reassurance. If stress becomes overwhelming, seek professional help. 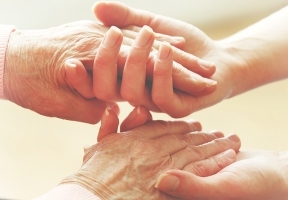 As the disease progresses, new caregiving skills may be necessary. The Alzheimer’s Association offers programs in-person, online and over the phone to help you better understand and cope with the behaviors and personality changes that often accompany Alzheimer’s. You may also find it helpful to talk to other care partners and caregivers about how they are coping with the challenges of the disease and uncertainty about the future. For more information on signs of caregiver stress and ways to manage stress, contact the Alzheimer’s Association 24/7 Helpline at 800.272.3900 or visit alz.org/care.